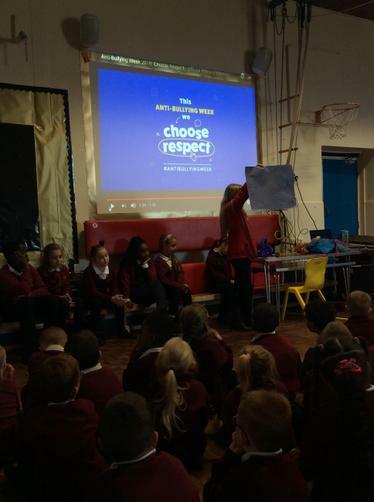 This years theme for anti-bullying week is 'choose respect.' 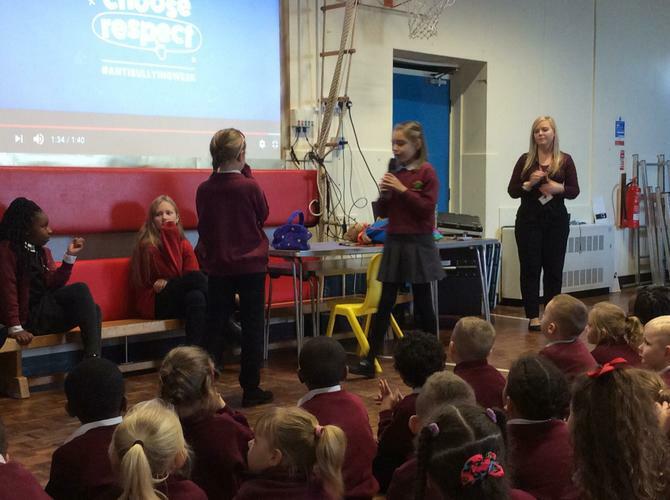 The school council acted out a range of role play activities modelling respectful and disrespectful friendships. 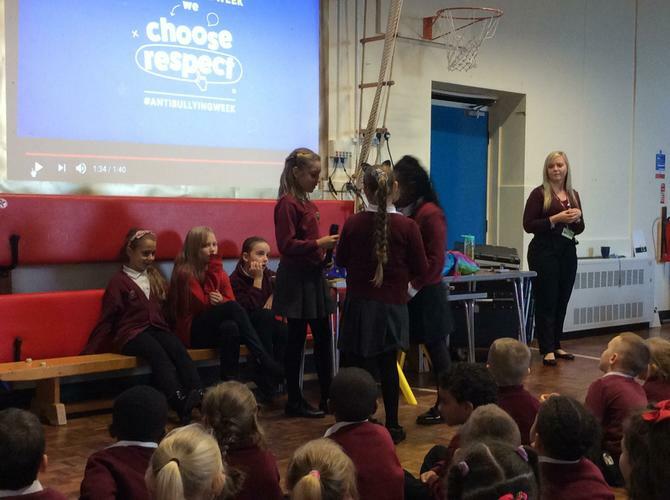 The children will complete more work in their classes about how to behave in a respectful manner with adults and other children. 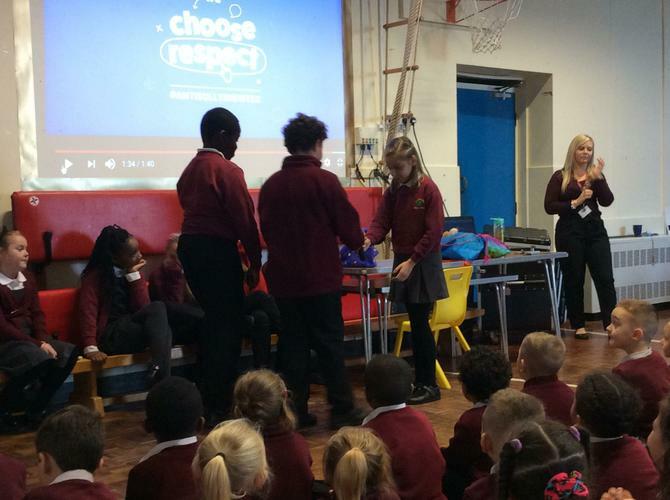 Well done to the winners of our anti-bullying poster competition!